If you’ve been on the fence about getting a Google Home, the company has an interesting promotion that might entice you to finally pull the trigger: depending on where you buy your Google Home, you could get a free Chromecast or Chromecast alongside it. So how does it work? When you purchase your Google Home directly from Google, or from Best Buy, Walmart, B&H, or Target, you can add either a Chromecast or Chromecast Audio to your cart and you’ll get the $35 device for free. The Google Home itself costs $129. This offer expires on March 18 while devices last, so you still have time but you’ll want to make a decision sooner rather than later while you still can. If you’re trying to decide between a Chromecast or Chromecast Audio, know that some of the basic features of the Chromecast Audio can be replicated 7 Things You Didn't Know You Could Do With a Chromecast 7 Things You Didn't Know You Could Do With a Chromecast You have finally taken the plunge and bought yourself a shiny new Chromecast, but what happens next? 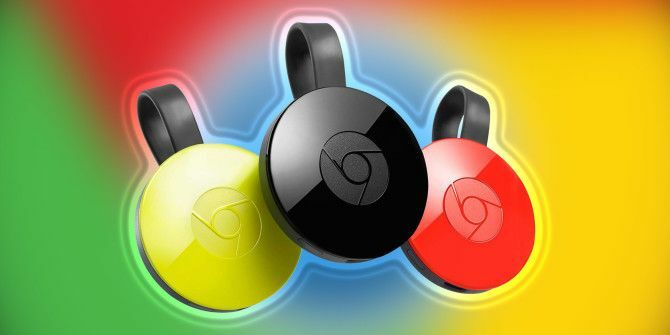 Here are seven things you didn't know you could do with one of Google's dongles... Read More , albeit not identically, on the Chromecast. Google is trying to encourage users to take advantage of the devices ability to talk to each other. You can use voice commands on the Google Home to play YouTube videos, Netflix movies, and view Google Photos on your Chromecast-enabled TV. You can also play music on your Chromecast audio using voice commands to the Google Home. What do you think? Is the deal worth getting the $129 Google Home? Let us know in the comments. Explore more about: Chromecast, Freebies, Google Home. NOT for $130.00. It's an exciting idea, but you need to purchase so many other items to have it actually be worth it, that even living with roommates doesn't make the cost worth it. You have to pay for Internet, the other devices, the Google home device, plus other stuff. Include food, bills, etc., I'd never leave the house, and wouldn't be able to do anything, just to pay for this thing. No Bluetooth support. Google wants one to buy Chromecast audio for music. Not reqd. Amazon echo has Bluetooth support. You can cast any music over WiFi from your phone or music services to Google home. This means you can walk around the house and not lose connection. Plus it's higher sound quality than Bluetooth. I have Alexa and a home and don't miss Bluetooth one bit even though I used it every day before Google. On my ph, I set up a youtube(just youtube app not the paid version) playlist and play it on Echo through bluetooth. All you have to do is cast your phone's audio to Home and play your YouTube playlist as before. Since this uses the cast feature it is through WiFi and as long as you stay on the wireless network you can move around the house freely. Btw I'm talking about the Cast Screen and audio function built into Android, not YouTube. We are trying to lower our monthly expenditures, not increase it! If the deal was cheaper and way below $100/month we would do it. But as it stands now - not happening any time soon.